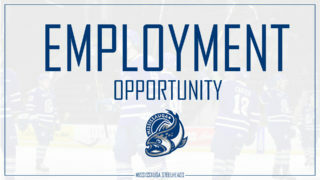 After starting the season off 0-1-1-0, the Mississauga Steelheads found their rhythm and have gone on to win four straight games since. Coming off of a big overtime win against the Niagara IceDogs, the Steelheads look to continue their streak with a busy weekend ahead of them. 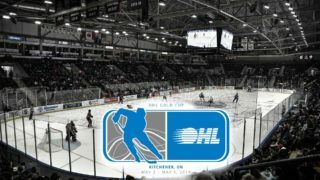 The Steelheads (4-1-1-0) are going into their first 3-in-3 this weekend, starting with a home and home series against the Hamilton Bulldogs Friday and Saturday, followed by a visit to Sarnia to face-off against the Sting on Sunday. With 26 goals in six games, and captain Cole Carter leading the way with six goals, the Steelheads look to continue that pace and come out of the weekend with some key wins. Starting off their season with three straight wins, the Sarnia Sting have since fallen to 3-3-0-0 with back-to-back-to-back losses following their hot start. The Steelheads faced off twice against the Sting last season, where the Sting came out on top in both contests. With a handful of NHL draftees, the Sting are looking to find the win column again this weekend. James Hardie: With an increased role in the past two games, Hardie has found a rhythm with his new line mates, Cole Carter and Ryan McLeod. In his first game after his promotion to the top line, Hardie scored a goal and added an assist in an impressive win against the Barrie Colts. 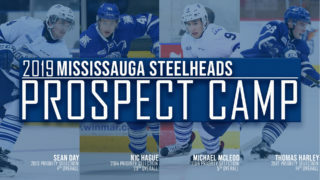 The Steelheads are looking to their first round draft pick in the 2018 OHL Priority Selection to keep his pace and help the team stay hot. 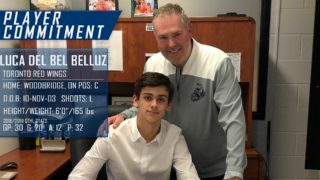 Ryan Barbosa: In what looks to be his first full season in the OHL, Barbosa has shown his ability to lead the Steelheads’ defence. Although Barbosa only has two points in six games, he has displayed his knack to control the play on both ends of the ice. 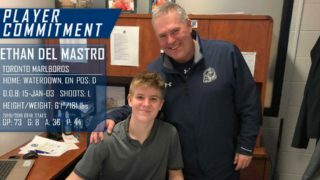 With his defensive awareness and his patience with the puck, Barbosa has earned his spot on the Steelheads top D pairing. Brandon Saigeon: The fourth overall draft pick in the 2014 OHL Priority Selection is off to a hot start this season. Saigeon, who finished his 2017-18 campaign with 70 points, is currently tied for second in league scoring with 13 points in seven games. The Colorado Avalanche prospect is on track to beat his previous season high of 70 points, and is looking like a late round steal for the Avalanche. Jamieson Rees: After a rookie season which saw Rees put up 20 points in 46 games, the sophomore center is looking to improve on his numbers in one of his most important seasons. 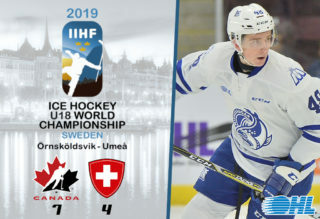 The Hamilton, Ontario native is ranked as a B prospect according to NHL Central Scouting, making him a possible second or third round draft candidate in the upcoming NHL Entry Draft. Rees is currently sitting at a point-per-game with three points in the three games.